The Newark Pilots of the newly formed Perfect Game Collegiate Baseball League (PGCBL) signed three players who all graduated from high schools in Western New York. Canandaigua's Justin D'Amato and LeRoy's Shayne Herold will take to the mound this season with Greg Schworm of Churchville-Chili behind the plate. 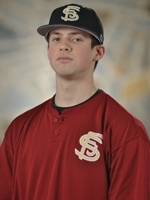 Justin D'Amato is the ace for St. John Fisher College in Rochester, N.Y. The freshman southpaw has a 9-2 record with a 3.25 ERA in 12 starts. His nine wins ties the Fisher record for most in a season and leads the Empire 8 Conference. D'Amato also leads the Empire 8 with 83 strikeouts in 69.1 innings and was named the Conference's Rookie of the Year and Pitcher of the Year. He hurled a no-hitter against Utica College on April 9th. D'Amato graduated from the Canandaigua Academy in nearby Canandaigua, N.Y. At Canandaigua, he set a school record with a 1.52 career ERA. D'Amato was a fourth-team All-State Class AA selection in 2010. "[D'Amato] is throwing very well this spring for St. John Fisher," said Pilots' Head Coach Chris Ebright. "He throws strikes. He will definitely be one of our starters at the start of the season." 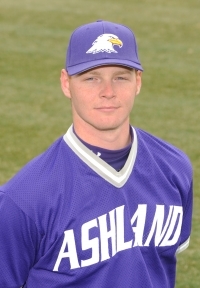 Shayne Herold will be on the mound and in the outfield for the Pilots this season. Herold is a sophomore at Ashland University in Ohio. In 40 games at the plate, he is batting .288 with 30 hits, 15 RBI and eight doubles. He also has two appearances on the mound, gathering three strikeouts in 4.2 innings pitched. Herold transferred from Genesee Community College in Batavia, N.Y., where he went 3-1 with a 2.54 ERA and 47 strikeouts in 39 innings of work. He also batted .270 with 11 RBI's and 10 doubles. Herold was named the Livingston County Division II Birds Eye Player of the Year in 2008 while at LeRoy High School in LeRoy, N.Y.
"Shayne's another great kid. I know he did very well at Genesee Community College," said Ebright. "He is playing for Ashland, who was my rival when I was in college, but I won't hold it against him." Catching for Newark this season will be Greg Schworm. 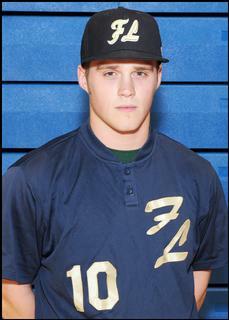 Schworm is a sophomore at Finger Lakes Community College in Canandaigua, N.Y. In 34 games with the Lakers this season, he recorded a .378 batting average and amassed 27 runs, 14 RBI and 11 doubles, earning him a spot on the Mid-State Athletic Conference All-Conference Team. Schworm graduated from Churchville-Chili Senior High School in Churchville, N.Y. As a senior, he was named the 2009 Monroe County Division II Birds Eye Player of the Year. That year, he batted .431 with 22 RBI's, 19 runs and two home runs. "[Schworm] is a strong kid and he'll probably be doing most of the catching this summer," said Ebright. "He's great with the pitchers and will help hold our pitching staff together very nicely." The Newark Pilots open at the newly refurbished Colburn Park on Friday, June 17th at 7:05 p.m. The Pilots are currently searching for employees to fill multiple positions at the stadium, including an official scorer, ticket taker, scorecard seller, merchandise seller, and the team's mascot. For more information regarding summer employment at Colburn Park, located at 1160 East Union Street in Newark, N.Y., please contact General Manager Pat Brown at 315-576-6710. Single game tickets for all of the Pilots' 2011 home games are on sale now. There are also a limited amount of reserved season seats available for the 2011 season. Anyone who is interested should call General Manager Pat Brown at 315-576-6710 or check out the team's website at www.newarkpilots.com. Don't forget to "Like" the Newark Pilots on Facebook for more team news. 0 Comments to "Pilots Add a Trio of Local Talent"